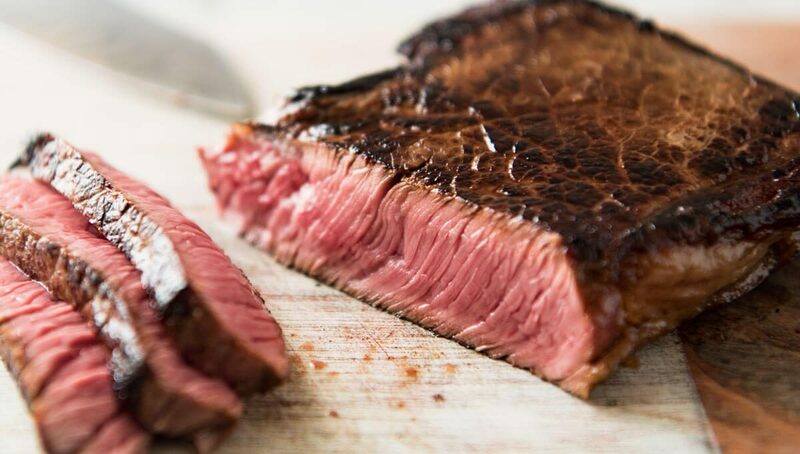 5 reasons why eating beef is good for you | Bigwig Jerky Co.
Red meat and beef, in particular, is quite delightful regardless of the dish. However, the doctors suggest that consuming excess amounts of it results in some life-threatening conditions such as cancer, diabetes, and more. Beef is more different than chicken and fish that are considered the healthiest and the most energizing meats on the carnivore menu. They contain the necessary minerals that benefit our organism and help us maintain the healthy lifestyle. But what’s so different about beef? Various scientific researchers have concluded that eating beef can shorten your life. While on the internet you will mostly find the articles about the drawbacks of the beef and its’ life threatening impact on those who consume it, we decided to feature five reasons of why you should eat it and make it a part of your weekly or at least monthly menu. Read on! This is why the bodybuilders and athletes in general turn to the beef meat. It contains the amino acids that help build and maintain the sufficient muscle mass. Amino acids are very healthy for our body. Aside from helping our muscles grow, they also repair its’ tissue, preventing the injuries and healing the already existing muscle traumas. This is, basically, the biggest advantage of the red meat, aside from being rich in iron and zinc, and the main natural source of energy for the athletes and bodybuilders. Many athletes will eat beef snacks like jerky, which are high in protein but low in fat and sugars. Amino acids are also available in pure supplementation used by athletes. However, aside from supplementation athletes consume the beef to maintain the optimal level of amino acids held together. Whether are you working a lot or not, the unstoppable, persistent fatigue, even after the hours of sleep simply doesn’t go away. Moreover, it makes getting through the day incredibly challenging and tiresome. People that eat beef meat on a regular basis know that the protein-rich beef cut contains iron that is one of the most important minerals in our body. Iron is located in red blood cells and channels the oxygen through the entire body along with the circulation. As such, it allows enough oxygen to get to the brain ensuring less fatigue and by far more productive day. The iron contained in beef is beneficial to the other processes in the body. It improves the overall work of the metabolism, enhancing the digestive system, and prevents the conditions such as Anemia. As beef contains various minerals and vitamins, one of those that are the most beneficial to us, aside from iron, is definitely Zinc. This, second mineral, allows the body to easily heal if a trauma to the body was to occur. How does it do that? Zinc supports the processes regarding the tissue healing and mucosal membranes. Furthermore, it supports the division of cells which is a very important process in our body. Zinc is also very popular in our immunity system. When our immunity drops, our body usually responds with either a slight illness or an ugly mark on our body that is a kind reminder that our body has gotten weaker. These are mostly big, painful, and persistent acnes seen on our face or the infamous canker sores in our mouth. Eating beef among the zinc rich food will greatly help you get rid of these while working flawlessly during the flu seasons to keep you healthy. We are mostly referring to the bone structure. Bones also contain the minerals and vitamins that make them persist all the challenges we face through our lifespan. As such, exposed to constant stress, especially if you’re an athlete can damage them. That’s why there is phosphorus in beef to keep them strong, to enhance their durability and make your bones and teeth stronger. If you are not too fond of milk, the beef is an excellent alternative in maintaining healthy anatomy. If you are working out on a regular basis, aside from the protein, you are also looking for the source of various vitamins that ensure your working out session and competitions will go flawlessly. Beef contains a great variety of vitamins that take the energy from food and turn it our own, this vitamin is a very mix of B vitamins such as B12 and B6. Both of these vitamins support the iron and prevent the Anemia from coming. You would be surprised about the impact of these vitamins on our body. So should I eat beef? We believe that there are two sides to every food, which is why we suggest that you should be modest and temperate with the beef either. Beef contains either monosaturated and saturated fats. The saturated fats are more dangerous, they can cause heart and brain stroke. What you can do is not consume red meat literally every day but once or twice per week. The health associations suggest 70 grams of beef per day, or maximally 90 if you’re an athlete. Even when you eat it, try removing the excess fat from the cut, and search for slices such as T-bone that are a more muscled parts of the cow, and contain less fat in the process.